Terms of Services - REMAC ENTERPRISES, LTD. This Terms of Service Agreement (“TOS Agreement”) constitutes a valid, binding and enforceable legal contract by and between you, the “Subscriber”, and REMAC ENTERPRISES, LTD (“REMAC”). REMAC’s provision of service to Subscriber, and Subscriber’s acceptance and use of said service, constitute Subscriber’s acceptance of, and agreement to, this TOS Agreement as well as Subscriber’s acceptance of, and agreement to, REMAC’s Acceptable Use Policy (“REMAC’S AUP”) — which is herewith made a part of this TOS Agreement. This TOS Agreement, including REMAC’S AUP, constitutes the entire agreement between the parties, and supersedes any prior agreements between the parties. *Verification; All order are subject to additional verification but not limited to; Telephone voice conformation, additional business email addresses, website, and additional payment methods such as bank or paypal account. REMAC reserves the Right to decline any order what so ever and payment will be refunded in a timely manner. REMAC reserves the right to cancel this TOS Agreement and to permanently disconnect the service that REMAC provides to Subscriber hereunder at anytime without further obligation. Subscriber may cancel this TOS Agreement and the service that REMAC provides to Subscriber hereunder by requesting cancellation via sending a help ticket through at support@remacenterprises.com at least fourteen (14) days prior to Subscriber’s next monthly billing date. REMAC will not honor notice of cancellation by any other means of communication. Subscriber must be current on all payments and must have all account information available at the time of such request for said requested cancellation to become effective. It is Subscriber’s responsibility to separately confirm that REMAC has timely received notice of requested cancellation, and Subscriber must make arrangements to pick up any server computer that it owns for removal from REMAC’s facility. If REMAC determines, in its sole judgment, that Subscriber is in violation of this TOS Agreement (which includes REMAC’s AUP), and REMAC believes that Subscriber can timely and appropriately cure said violation. If, in REMAC’s sole discretion, a potential violation is detected, the service (including all services on all server computers of Subscriber, if Subscriber uses more than one) that REMAC provides to Subscriber may be terminated, without notice to Subscriber, until REMAC’s investigation is complete, which investigation REMAC shall attempt to complete within a reasonable time period. Subscriber will not be credited, under any circumstances, for any time that the service that REMAC provides to Subscriber is suspended, interrupted or terminated. REMAC is under no obligation to review Subscriber’s and/or any of Subscriber’s Sub-User’s (the term “Subscriber’s Sub-User” is defined below) activities to determine if a violation of this TOS Agreement (which includes REMAC’s AUP) has occurred. Further, REMAC does not assume any responsibility by virtue of this TOS Agreement (which includes REMAC’s AUP) to monitor, enforce or police Internet-related activities or to notify Subscriber of any actual or suspected violations. REMAC reserves the right to amend, and may amend, from time to time, within its sole discretion, the terms and conditions of this TOS Agreement (including REMAC’s AUP). REMAC will provide notice of such amendment(s) by posting such amendment(s) on REMAC’s website at http://www.REMACservers.net/vbulletin/, and Subscriber’s use of REMAC’s services after REMAC posts such amendment(s) on its website shall constitute Subscriber’s acceptance of any/all such amendments. Amendment(s) shall not constitute grounds for Subscriber’s early cancellation of this TOS Agreement or the service, nor grounds for Subscriber’s non-payment for the service that REMAC provides to Subscriber after the effective date of such amendment(s), and Subscriber shall continue to be bound by the terms and conditions of this TOS Agreement, as amended, for any service provided by REMAC to Subscriber thereafter. It is Subscriber’s responsibility to review, from time to time, this TOS Agreement (including REMAC’s AUP), as published on REMAC’s website, for any amendment(s). Subscriber may not transfer or assign this TOS Agreement without the prior written consent of REMAC. REMAC may transfer and assign this TOS Agreement, the Service and all of REMAC’s rights, titles and interests thereunder at any time without consent from or notice to Subscriber. Waiver by REMAC of Subscriber’s breach of any term or condition of this TOS Agreement (including REMAC’s AUP) shall not operate as or be construed as a continuing or subsequent waiver thereof or as a waiver of any breach of any other term or condition of this TOS Agreement (including REMAC’s AUP). Inasmuch as the service that REMAC provides to Subscriber is controlled and operated by REMAC from its facilities in the United States, Subscriber shall comply with all U.S. local, state, federal and national laws, statutes, ordinances and regulations that apply to Subscriber’s use of the service that REMAC provides to Subscriber, as well as with all laws in all other jurisdictions that apply to Subscriber’s use of the service that REMAC provides to Subscriber. This TOS Agreement shall be construed in all respects in accordance with the laws of the state of Illinois applicable to contracts enforceable in that state. By entering into this TOS Agreement and accepting and using REMAC’s services hereunder, Subscriber submits to jurisdiction and venue in the courts of Cook County, Illinois, for any dispute(s) related to or rising out of this TOS Agreement. Notwithstanding any contrary provision of law, any claim or cause of action arising out of this TOS Agreement and/or related to the service that REMAC provides, or is to provide, to Subscriber must be filed within one (1) year after such claim or cause of action arose or be forever barred. Subscriber’s Responsibility For Server/Equipment: Subscriber is solely responsible for packaging and removing from REMAC’s premises/control any/all servers and equipment owned or controlled by Subscriber. Subscriber shall pay REMAC a $20.00 handling fee plus all shipping costs per package for any server/equipment which is shipped The Subscriber is responsible for insuring any/all shipments. Any server or equipment not removed within 30 days after cancellation of this TOS Agreement for any reason will be considered abandoned and forfeited. Taxes: All prices and fees specified in or referred to in this TOS are stated exclusive of any tax, including withholding tax, sales, state. local, city, use, value added, levies, import and custom duties, excise or other similar or equivalent taxes imposed on the supply of services. Any taxes, sales, state, local, city use, levies, excise, withholding taxes or similar charges, direct or indirect, applicable or to become applicable, which are levied as a result of the supply of the services shall be borne by the Customer. Subscriber shall, at http://www.remacenterprises.com/servers, provide REMAC with, and shall update REMAC immediately upon any change(s) with, accurate, current and complete contact information (including email, fax, telephone and street address contacts) so that REMAC may register Subscriber, charge payments to Subscriber and otherwise contact Subscriber as may be required from time to time in the course of this TOS Agreement. In addition, Subscriber agrees to provide photo identification to REMAC prior to Subscriber’s preliminary visit, if any, to REMAC’s data center. If Subscriber is an individual, Subscriber must be eighteen (18) years of age or older in order to enter into this TOS Agreement to subscribe to the service that REMAC provides to Subscriber, and Subscriber herewith assures REMAC that Subscriber meets said age requirement. If Subscriber is an entity, Subscriber herewith assures REMAC that it has all the legal authority necessary to enter into this TOS Agreement to subscribe to the service REMAC provides to Subscriber. Invoicing: REMAC does not send out invoices automatically. If Subscriber requires an invoice he may log into his account and obtain an invoice. Additional Charges for Failure to Timely Pay: Without limiting REMAC’s right to, at any time for any reason, cancel this TOS Agreement and permanently disconnect the service that REMAC provides to Subscriber, should REMAC suspend the service that REMAC provides to Subscriber because of Subscriber’s failure to timely pay any fee or amount due to REMAC, Subscriber may be required to pay REMAC, in addition to any fees and amounts due a $20.00 late fee.. Suspension of service does not relieve Subscriber of any responsibilities. Any third-party conduct or other matter relating to the service. IP Address Allocation / Ownership: If REMAC assigns Subscriber an Internet Protocol (“IP”) address and/or number(s) for Subscriber’s use, the right to use that IP address/number shall belong solely to REMAC, and Subscriber shall have no right to use that IP address/number except as permitted by REMAC in its sole discretion in connection with the services provided by REMAC to Subscriber during the term of this TOS Agreement. REMAC shall maintain and control ownership of all IP addresses and numbers that may be assigned to Subscriber by REMAC, and REMAC reserves the right to change or remove any and all such IP addresses/numbers, in its sole and absolute discretion. REMAC’s allocation of IP addresses/numbers is limited by the policies, as they exist from time to time, of the American Registry for Internet Numbers (“ARIN”), including policies providing that the use of IP addresses or numbers for IP-based virtual hosts are not acceptable as justification for new IP addresses or numbers. Pursuant to ARIN’s policies, as they exist from time to time, Subscriber must use name-based hosting whenever possible. REMAC will periodically review IP address usage, and if REMAC finds that Subscriber and/or Subscriber’s Sub-Users are using IP addresses or numbers where name-based hosting could be used, REMAC will revoke authorization for the use of those IP addresses/numbers. All IP addresses/numbers that are allocated to Subscriber must be utilized within forty-eight (48) hours of allocation, otherwise REMAC may retract said unused IP address or number without prior notification to Subscriber. Services usage must be reasonable. Customer may not put excessive burdens on our servers or other resources provided by REMAC. Customer may be asked to pay additional fee(s) going forward for excessive bandwidth, power consumption or technical service usages to avoid disruption or termination of services. Subscriber shall not reveal Subscriber’s account information to anyone, Subscriber shall protect and maintain the confidentiality and security of Subscriber’s account, Subscriber shall not use anyone else’s account, and Subscriber shall immediately notify REMAC of any unauthorized use of Subscriber’s account or any other breach of security. Subscriber is solely responsible and accountable for, and REMAC shall not be responsible or accountable for, any/all activities that occur on or through Subscriber’s account, including any and all acts or omissions by, or attributable to, any third party, using the service that REMAC provides to Subscriber. REMAC’s remedies are cumulative and they may be exercised concurrently or separately at any time. A Subscriber hosting websites or services on Subscriber’s server computer supporting spammers or resulting in any of REMAC’s IP space to be listed in any of the various Spam Databases or black hole lists will have its service immediately disconnected. Such suspended service will not be reconnected until such time that Subscriber agrees to remove ANY and ALL traces of the offending material immediately upon reconnection, and agrees to allow REMAC access to its server computer(s) to confirm that all material has been COMPLETELY removed. Because Subscriber is ultimately responsible for the actions and omissions of Subscriber’s Sub-Users, it is advisable that Subscriber develop a similar policy for its Sub-Users. Charge Subscriber for remedial actions, and recover any and all expenses from Subscriber in connection with any violation of REMAC’s AUP attributable to Subscriber. We allow IRC services on our network. All trademarks, service marks, logos, product names and service names of REMAC comprise the trademarks of REMAC, and Subscriber shall not, and shall not allow any third party to, display or use in any manner said trademarks without REMAC’s prior written permission. Not by way of limitation of the other provisions of this TOS Agreement, particularly the provisions of Sections 10.G and 10.H., REMAC is not responsible for, and Subscriber is solely responsible for, fully insuring Subscriber’s and Subscriber’s Sub-Users’ colocation system/data against destruction, damage, taking, unavailability or other loss, and REMAC is not responsible for, and Subscriber is solely responsible for, fully insuring any/all colocation server computers, components and equipment owned or controlled by Subscriber against loss and damage during shipment, handling, placement and use, whether said server computer/equipment is in REMAC’s possession or control or otherwise. Subscriber is solely responsible for packaging and removing from REMAC’s premises/control any/all colocation servers and equipment owned or controlled by Subscriber. 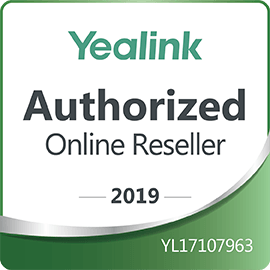 Subscriber shall pay REMAC a $20.00 handling fee plus shipping costs per package for any server/equipment that Subscriber requests REMAC to ship. Any colocation server or equipment not removed within thirty (30) days after cancellation of this TOS Agreement for any reason will be considered abandoned and forfeited. Copyright © 2017 REMAC ENTERPRISES, LTD.